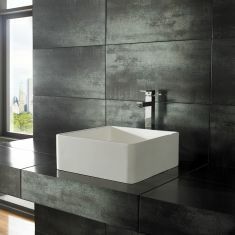 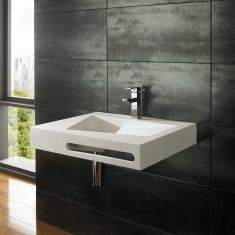 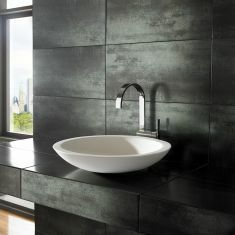 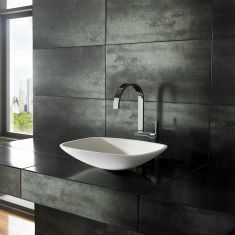 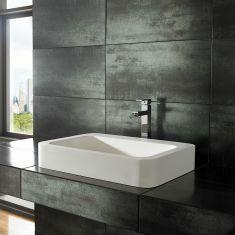 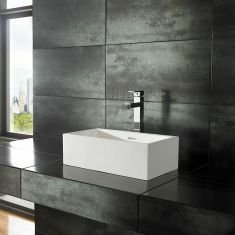 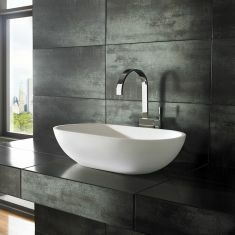 All our solid surface basins have a sculptured look thanks to the smooth edge rims. 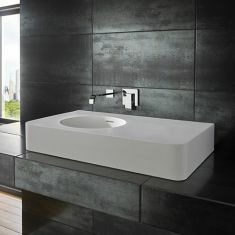 Sleek and stylish round sinks along with square and rectangular options are all available to help you discover the perfect piece for your bathroom. 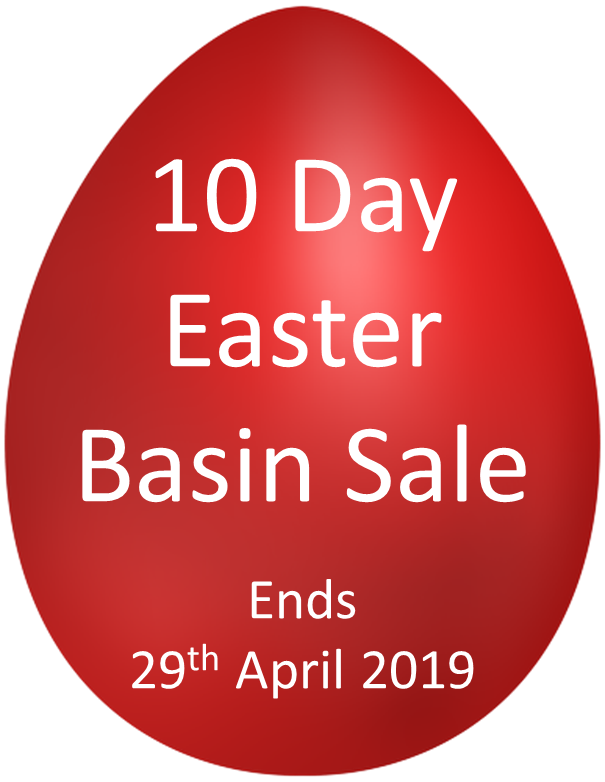 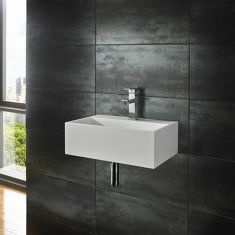 Explore the sturdy and attractive range of solid surface basins for sale here at ClickBasin. 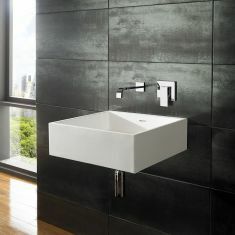 These wonderfully constructed sinks add a touch of class to any bathroom, whether fitting into a room with a contemporary or traditional style. 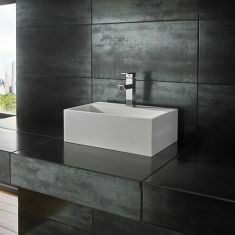 Each basin is made out of the composite material Solid Surface, a mineral and acrylic bond that forms a hard, impenetrable product for water or bacteria which prevents mould forming. 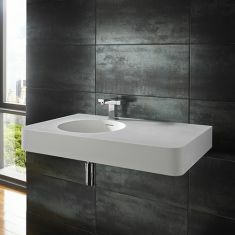 Whatever size you’re after we have an array of basins, from the small hand washing options to large, wall mounted versions with glass shelves. 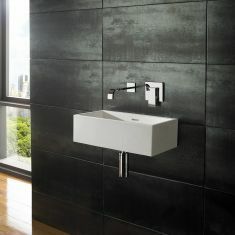 Each comes in a pure white colour, making them easy to clean and maintain a hygienic appearance. Made from hardwearing material ensures they’re built to last.